Two dogs and a little girl are enjoying a lazy afternoon at the beach and lying in the sand. The naughty girl begins poking the one dog with her foot while he’s trying to take a nap. 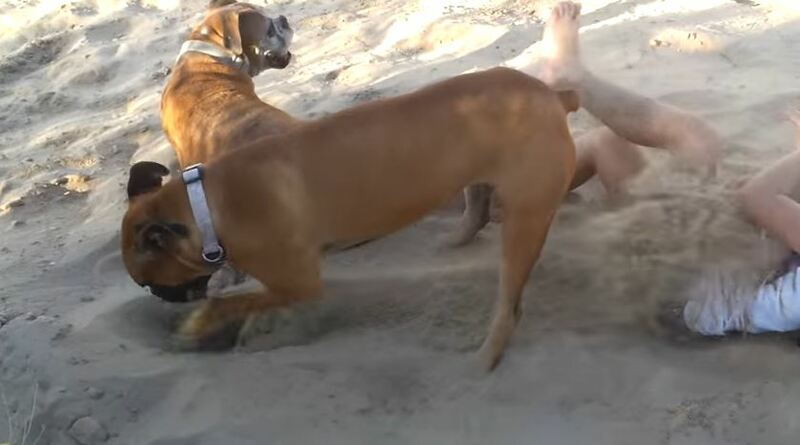 Jumping up the dog gets his revenge in the classic way you do at the beach – by burying her in the sand! Share this funny video with your friends.